1 Philippine Real Estate.com » Info on Philippine properties, condos, housing and real estate brokers. 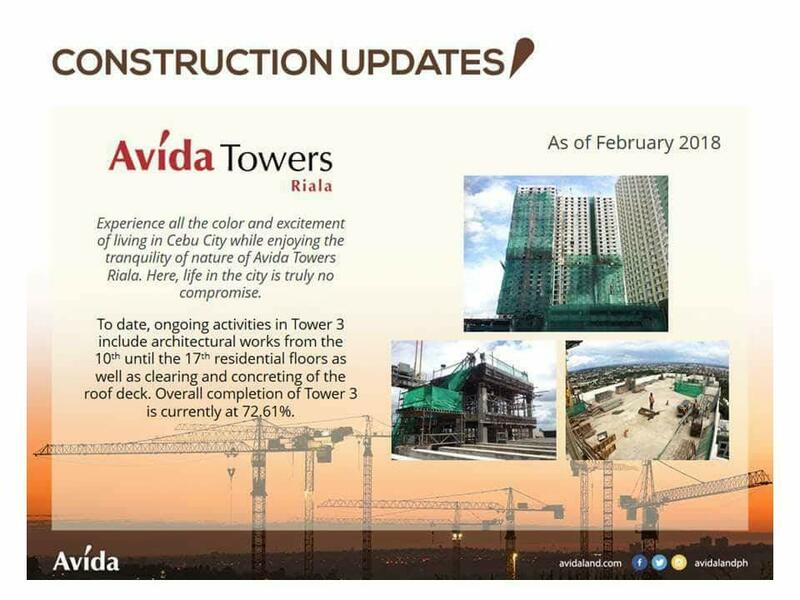 Avida Land brings you Avida Towers in the IT Park of Asiatown in Cebu City. 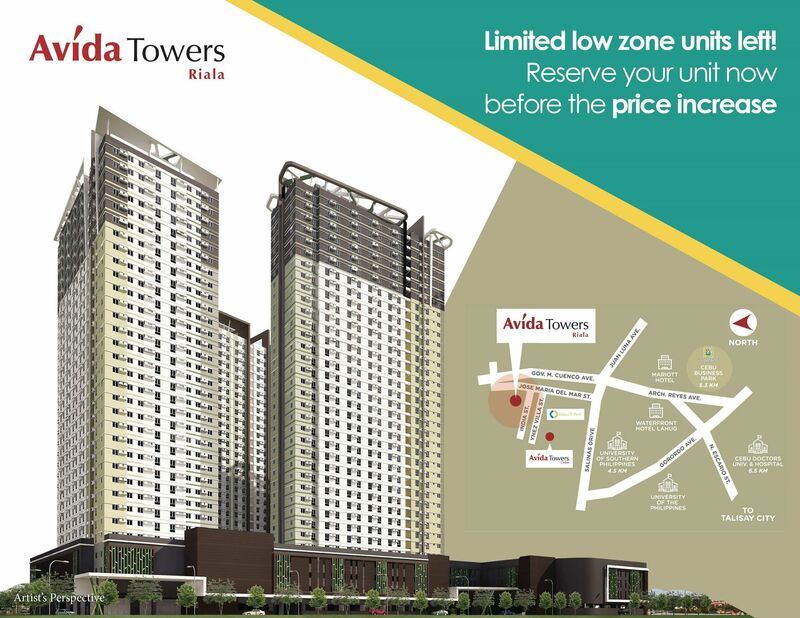 Avida Towers Riala is will comprise of five huge and magnificent towers accommodating beautifully crafted studios and units for the occupants. Around fifty percent of the space of the property accommodated vast and open expanse of spacious land that gives the feel of living in freedom and also the enhances landscape view adds to the refreshed feel that one residing here is sure to experience. » click/tap here and visit this page. 2. Minimum combined monthly income of P90,000. Looking for a House and Lot? What kind of Philippine real estate property are you looking for? Please let us know. Comments Off on Looking for a House and Lot? If you are looking for a house and lot in Antipolo, check out Crestwood, Cottonwoods, Maia Alta, Mia Vita, Mille Luce, or even Woodberry. You’ll find lots of Antipolo house and lot packages between P1.0 million and P6.0 million. And if you’re looking for homes that cost below P1.0 million, there are some units in Teresa, Rizal. Are you looking for a condo in Marikina? Check out the Marquinton Garden Terraces by Federal Land (Metrobank Group). Monthly amortizations are as low as P7,000. You will find MGT along Sumulong Avenue, Bgy. Sto Nino, Marikina City, inside Federal Land Inc.’s mixed-use development. This is quite near the first residential cluster at Marquinton (Marquinton Terraces), and is just minutes away from the Blue Wave Mall, Blue Wave 2 (Robinson’s Supermarket), Metrobank Sumulong Branch and the Toyota Marikina Showroom. Manhattan Heights is the latest phase of the Manhattan Garden City condo at the Araneta Center in Cubao, Quezon City. Looking for low-rise condominiums and readily built vacation houses? Try the Seascape Ridge, a new 4.6-hectare community composed of 14 quads (56 corner two-bedroom units). The targeted turnover date is December 2011. One Pacific Place is a Makati condo developed by Cactus Realty Corporation (composed of the same group that developed Pan Pacific Manila and Adriatico Square – ACI Group). Turnover is slated for the 4th quarter of 2011. 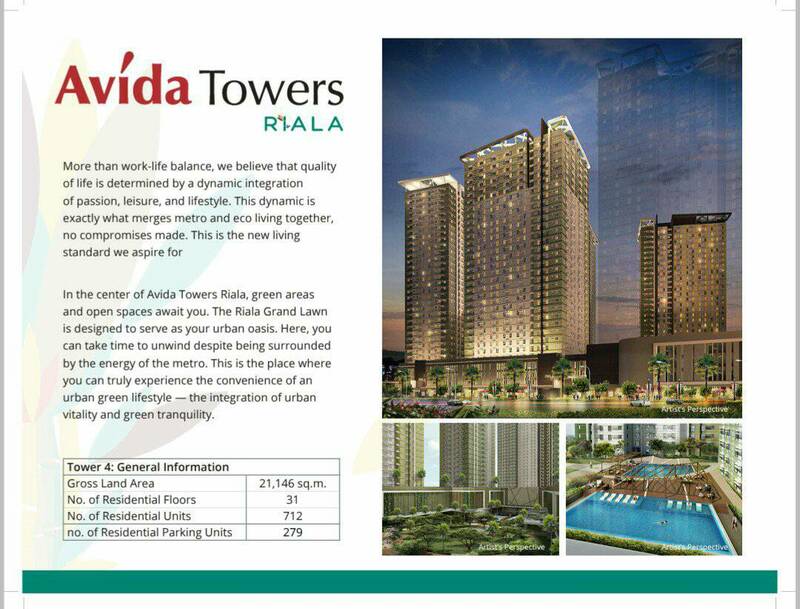 Units range from P2 million to P14.5 million (20 sqm to 125.03 sqm). Sea Residences is a 6-tower condominium project (15-storeys per tower) in the SM Mall of Asia Complex in Pasay City. It gives you fantastic views of the Manila Bay Sunset, the Makati Skyline, the Manila and Cavite views. Sea Residences units start at P2.2 million (prices subject to change without prior notice). There are 176 posts and 586 comments so far.